WSBRC uses MapInfo GIS software to map and display site boundaries and habitat parcels. Outputs such as these often form part of our standard data searches. In addition the location of species records can also be displayed. On request WSBRC can undertake habitat interpretation from Arial Photographs for the county to produce habitat or land-use maps of the required search area. 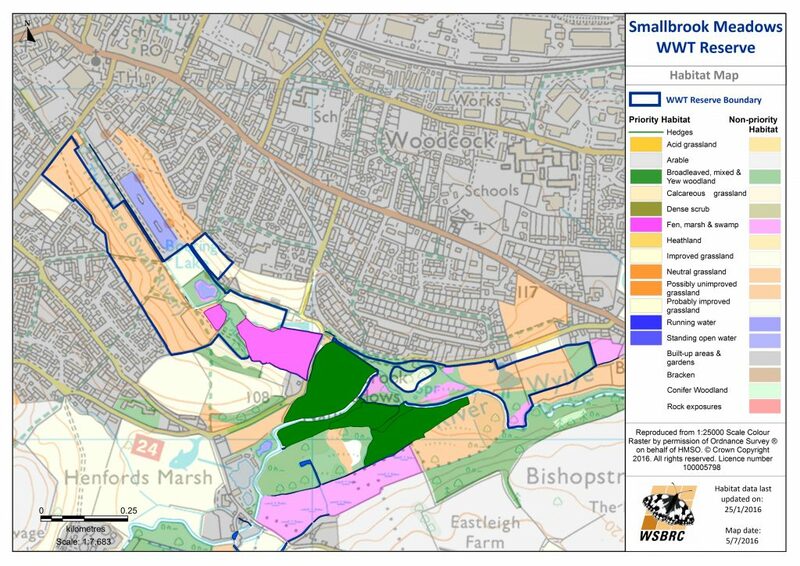 We would recommend that any mapping work undertaken is done to the standards of the Integrated Habitat System (IHS). If you are interested in this service please get in touch with us and we can discuss your requirements and provide a quote. The Integrated Habitat System (IHS) integrates existing classifications in use in the UK with particular emphasis on Broad Habitat Types, Priority Habitat Types, Annex 1 of the Habitats Directive and Phase 1. Standard habitat definitions from these classifications are combined into a hierarchy starting at the level of Broad Habitat Types, through vegetation communities to habitat-specific features, such as management practices.